When it comes to treating cancer, many patients rely on their medical insurance cover to help fund the financial cost of treatment. However, not all policies are the same—and where some policies could help you access lifesaving drugs, others might not. How much does it cost to treat cancer? The answer depends on the type of cancer you have, how advanced it is, and whether the treatment is funded by Pharmac, the government agency that determines which pharmaceuticals to publicly fund in New Zealand. However, to get a better understanding of the costs, we can look at how much insurance companies will cover for cancer-related treatment. Sovereign’s Private Health Cover and Private Health Plus both cover up to $300,000 per year in cancer care, while AIA’s Real Health policy covers up to $500,000 per year, including both surgical and non-surgical costs. When choosing a health insurance that covers cancer, it is important to understand how that cover is allocated. Many policies, such as Sovereign and Southern Cross, have an unlimited cover for surgery, meaning the cost of cancer-related surgery won’t come from the cancer care limit. Other providers, such as AIA, have cancer-related surgery included in their set cancer cover amount (hence the higher limit). It’s also important to note that different cancer treatments have certain limits within a provider’s overall cancer cover. For example, some Southern Cross policies only provide up to $60,000 for chemotherapy, $60,000 for imaging and testing, and $5000 for specialist consultations each year. However, a course of treatment with some of the newer generation of cancer drugs—ones often not funded by Pharmac—can exceed the $60,000 chemotherapy allowance. For instance, Opdiva, which is used to treat melanoma and lung cancer, can cost $235,000 per year. Even Viagra, which helps treat prostate cancer, comes in at $9,855 per year, and because it is not Pharmac funded, it is a significant expense for many Kiwis—even out of reach for some. When it comes to publically funded drugs to treat cancer, New Zealand is somewhat lacking, especially compared to other OECD countries. Between 2010 and 2015, only 12 new cancer medicines were added to Pharmac’s funding list. Meanwhile across the Tasman, Australia funded 66 new medicines in the same period. 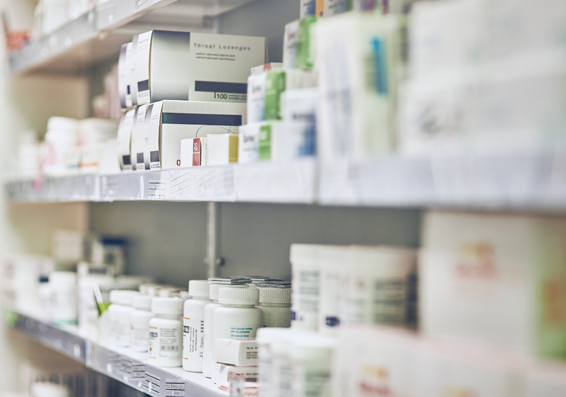 In fact, in a 2016 study that examined public access to new medicines across 20 OECD countries, New Zealand was ranked last for the number of new medicines registered and launched. Why are only some drugs funded by Pharmac? There are more than 7,000 new medicines in development around the world and nearly 1,800 in oncology alone. It is simply not feasible for Pharmac to fund all of these drugs—miracle or not—as and when they become available. As of August 2017, there were 94 drugs on the Pharmac “waitlist”: 12 cancer drugs, six diabetes drugs, five mental health drugs and 71 other drugs that include contraceptives, HIV, arthritis, hepatitis and insomnia. What is the Medsafe-approved drug list? Any drug treatments made available in New Zealand have to be Medsafe-approved. Unfortunately, not all of these are funded by Pharmac. Keytruda, for example, is a Medsafe approved drug that was not funded by Pharmac until 2016, despite proof that it was effective in the treatment of melanoma. Prior to its Pharmac funding, the drug cost up to $200,000 per patient. Those who had a health insurance policy that covered non-Pharmac approved drugs were able to have the cost of keytruda covered. Interestingly, the same drug is still not funded outside of its melanoma scope. 1. What is the breakdown of the cover provided? That $300,000 cancer care cover may not be discretionary, there may be limits within that amount for certain type of treatments (e.g. chemotherapy). 2. Does the policy cover non-Pharmac funded drugs? If it doesn’t, speak to your insurance advisor first before making any sudden decisions. All too often people switch their medical insurance to another policy just so they can access non-Pharmac funded treatment. Usually this is response to someone they know getting cancer. This is a dangerous move. Why? Any health conditions you developed since taking out the original policy, will likely be excluded when you switch to a new policy on the basis that they are now considered pre-existing conditions. For example, if you had a heart attack two years ago, the new policy is unlikely to provide cardiovascular cover, where your current one would continue to do so. Anyone who has a medical insurance policy that doesn’t cover non-Pharmac funded treatment, can take out a separate policy just for this. By doing this you are protecting yourself from unnecessary exclusions and ensuring you have access to the best cancer treatment should you need it. Generally, there is little difference in premiums between policies that cover Pharmac versus non-Pharmac. However, if you are concerned about the cost of taking out a separate policy, consider locking in a higher excess to reduce your premiums. Should you find yourself needing access to the best cancer treatment–that excess will be a splash in the pond when compared to the alternative.